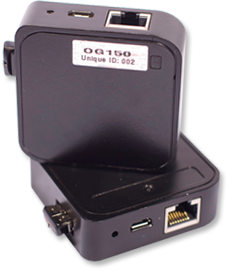 The OG150 is a small, automated, plug-and-play security device commonly referred to as a penetration testing drop box. The OG150 hardware supports integrated wired and wireless interfaces that permit a wide range of security tests to be performed against the target network infrastructure and associated IT resources. You can view a video of the OG150 Deluxe Package contents at OG150 Contents Video. Why is it called the OG150? This was originally a code name given to the product during its initial development. The name ‘stuck’ and is now used for the publicly released version. The 'OG' stands for Original Gangster, a term used amongst colleagues (special mention to Heath Russell and Grant Isaacs). The 150 refers to the weight of the prototype version in grams. I was surprised at how something so small and light could be so potent, so decided to include a reference to the weight in the product name. Interestingly, the weight of the publically released version is now 122 grams based on changes made to hardware components. Please note: The weight of the OG150 is indicative only and may vary depending on availability of hardware components. What hardware is used by the OG150? * The main limitation of this platform is the amount of flash and RAM. I have overcome this limitation by connecting a 4GB USB stick to the OG150. The USB stick has been configured to provide the OG150 with an additional 1GB swap space and 3GB of storage space. How do I deploy the OG150? Piggyback an authorised user into the target environment (follow a user with a valid swipe card as they enter a building). This is a form of Social Engineering. Post the OG150 to a user for remote deployment. * The OG150 has been programmed to turn on a blue LED when a network link is physically detected. This allows the OG150 to be connected with a quick visual check verifying if the network port is ‘up’. What software is used by the OG150? Coova-chilli - CoovaChilli is a feature rich software access controller that provides a captive portal / walled-garden environment and uses RADIUS or a HTTP protocol for access provisioning and accounting. Typically used for wireless hotspots. Iperf - Used for measuring maximum TCP and UDP bandwidth performance. Iperf reports bandwidth, delay jitter, datagram loss. Traceroute - Traceroute is a network diagnostic tool for displaying the route (path) and measuring transit delays of packets across an Internet Protocol (IP) network. What competitive products are available? You may have noticed from the photos of the OG150 that everything is black – the router, battery, Ethernet cable and the USB cable are all black. The reason is trivial, it is my personal opinion that everything related to network security simply looks better when it is black. Do I need to be a Linux guru to operate the OG150? No. If you buy an OG150, you will receive a 50+ page User Guide that will simply explain how you can customise and operate the OG150. The User Guide assumes no prior knowledge of Linux. Updates to the User Guide will be provided free of charge when they are available. Is there a web interface for management of the OG150? No. At present the OG150 is managed purely through a CLI (command line interface) using the SSH protocol. Adding a web interface to the OG150 is on the radar, but this is not likely to be implemented for at least 12 months. It takes approximately 1 hour to fully charge the battery. Testing shows that a fully charged battery powers the OG150 for over 5 hours (with wireless enabled). If this is not sufficient, you are advised to connect the OG150 to a wall mount power outlet. What will stop the OG150 from functioning? The only feature that will totally nullify the OG150 is IEEE 802.1x port authentication. This protocol effectively disables the network port until a user and/or device has successfully authenticated. Cisco ISE is my preferred choice when implementing IEEE 802.1x port authentication. In addition, a properly configured firewall that filters outbound traffic, will severely restrict the OG150 and its use. Please note: There are tools publically available that can bypass IEEE 802.1x port authentication, however this is not currently supported by the OG150. I do not promote or endorse malicious hacking. 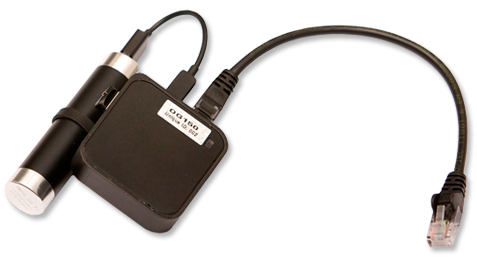 The OG150 has been developed for use by legitimate Penetration Testers and for educational purposes only. How much bandwidth does the web cam utilise for streaming? What future plans are there for the OG150? Lots! I will continue to develop and expand the User Guide to demonstrate scenarios where the OG150 can be used (updates to the User Guide will be provided free of charge when they are available). A new hardware platform is on the radar that will provide additional services such as an LCD display and 3G/Bluetooth support. I have not put any timescales on when this will be available. Yes! You can order your own OG150 using the Buy Now page. You can view a video of the OG150 Deluxe Package contents at OG150 Contents Video. If you have any questions prior to placing an order, please enquire using the Contact page. Where can the OG150 be shipped to?